Does a VPN make you anonymous online? Does a VPN slow down the internet? Do I need an ISP to use a VPN? Can I use a VPN on more than one device? Which devices does a VPN work on? Does a VPN keep logs? Free VPN or paid for VPN? Is a VPN useful for torrenting? Can I watch Netflix with a VPN? Does a VPN work on Android? Does a VPN work on iOS? Does a VPN work on Kodi? Does a VPN work on a smart TV? When shouldn't I use a VPN? A Virtual Private Network, or VPN, can help you bypass geo-restrictions, improve your security and allow you total anonymity online. 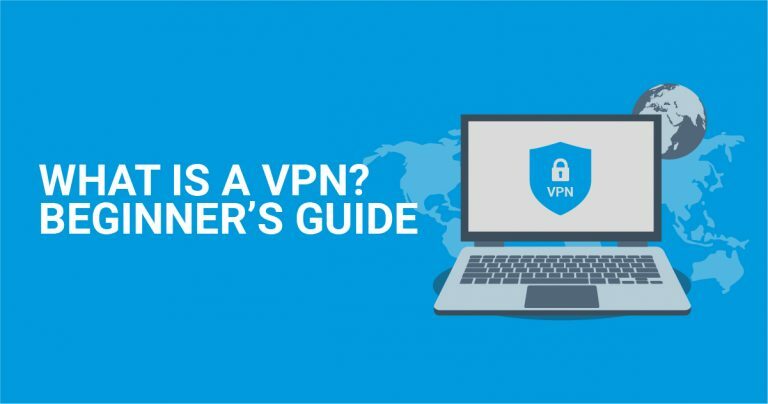 A VPN is a tool that changes your IP address by rerouting your internet traffic and connecting you to a secure server in a different location, making your computer appear as if it’s in that location. Online security – A VPN assigns you an entirely new IP address and makes it seem as though you’re in a different location to the one you’re in. By doing this, it makes it increasingly difficult for the government, your Internet Service Provider (ISP), and hackers to pinpoint you. While a VPN doesn’t offer complete anonymity, it does add a significant layer of privacy to your online browsing, thus making you more secure. Accessing geo-restricted content – Once you connect to a remote server you will receive a new IP address that is assigned based on the server location. This means that you can watch shows on platforms like Netflix (assuming the VPN can bypass the Netflix detection system), or view a YouTube channel that you wouldn’t normally be able to access in your region. Bypassing online censorship – Whether it’s a work or university firewall, or you’re traveling to a country like China that heavily censors online content, a VPN will be able to bypass censorship by connecting you to a remote server of your choice. Now that you’re aware of what a VPN is and its most common uses, let’s take a closer look. 03 Is a VPN secure? 04 Is a VPN legal? 05 Does a VPN make you anonymous online? 08 Does a VPN slow down the internet? 11 Can I use a VPN on more than one device? 12 Does a VPN keep logs? 13 Free VPN or paid for VPN? 14 Is a VPN useful for torrenting? 16 Can I watch Netflix with a VPN? Whether you’re traveling for work or going on vacation, you still want to watch all your favorite shows from wherever you are, right? Well, some countries block platforms like Netflix, Hulu, BBC iPlayer, and YouTube, among others. This means that instead of going by your day-to-day browsing activities, you’ll face one annoying error message after another. Luckily, a VPN can help you bypass geographic blocks. That said, platforms like Netflix use advanced VPN detection software, so make sure you choose a service that can bypass these blocks. Do you use online banking? Maybe you’ve sent a friend a Facebook message with your banking details, so they can wire you some money? If so, you may have left the door wide open to hackers, especially if you were using a public Wi-Fi hotspot. With a VPN, you’ll appear in a completely different location, thus going undetected by hackers and other snooping third parties. Not only this, but they often use the most advanced encryption to secure your data. Something you may not know is that a VPN can actually save you money. How? Well, many e-commerce platforms display different prices to users based on their location. Luckily, connecting to a server in a completely different location can show you cheaper prices. For example, if a flight you’re trying to book from the US to the UK is very expensive, you may find it cheaper if you connect to a server in India. This is great to keep in mind if you travel a lot or you take regular vacations. With a VPN, you can shave a significant amount of money off your flights, car rental, accommodation, and any other online purchases. The extent to which your VPN protects your online traffic depends on the protocol it uses. Simply put, choosing the right protocol will ensure that you get the encryption you need when browsing the web. Point-To-Point Protocol (PPTP) is the veteran of protocols, but comes with very low levels of security. While it’s built-in on virtually all platforms, it pretty much always comes only with 128-bit encryption. Additionally, the NSA can decrypt data encrypted with PPTP, meaning others can also hack into it and collect your personal information. While Microsoft has made it slightly more difficult to crack, the company still recommends using L2TP/IPSec or SSTP, rather than PPTP. Layer 2 Tunneling Protocol (L2TP) is similar to PPTP because it’s easy to run on major platforms. The key difference is that L2TP doesn’t encrypt anything on its own, which is a key reason why it’s used with IPSec. But, even when used with IPSec, L2TP comes with similar limitations to PPTP. Aside from the fact that L2TP can be tampered with by the NSA, this protocol also uses pre-shared keys to run on your VPN. Unfortunately, these give hackers the chance to eavesdrop on a VPN server. That being said, the protocol offers better speeds. Secure Socket Tunneling Protocol (SSTP) is Microsoft’s newer and more secure VPN protocol. Aside from the fact that it uses SSL 3.0, the protocol also deals with firewalls pretty well. Plus, you can use TVP port 443 if you’re struggling with tough censorship. Despite some great features and the fact that it is much more secure than PPTP, there are some security risks involved with SSTP, mainly since SSL 3.0 was successfully targeted by POODLE attacks. Internet Key Exchange version 2 is a tunneling protocol that is natively available on only a few platforms. This is a robust VPN protocol when coupled with the right AES encryption. That being said, its biggest advantage is the amount of stability it offers. Even after temporary interruptions, the protocol continues running as normal. OpenVPN is the most favorable protocol because even its weakest configuration is impressive. What’s more, OpenVPN has various configuration options available meaning you can customize it for extra speed or added security. OpenVPN can also work on almost any port including 443 which helps prevent blocking. In short, this is the best VPN protocol and you should use it whenever possible. When it comes to how secure a VPN is, it’s hard to give a straight yes or no answer because no two services are identical in their security features. The security of the VPN will depend on the technology and protocols that the provider uses. Simply put, any provider based in a country that is part of one of these international surveillance alliances will be able to spy and record your online activities. VPNs are completely legal, in most cases. The truth is, VPNs are a very new concept. As with many online tools, people can use VPNs for good AND for bad. This means that while they are legal in most parts of the world, some countries ban them. Generally speaking, VPNs are legal to use in countries like the US, the UK, Europe, Australia, and New Zealand, among others. On the other hand, VPNs aren’t legal in countries like China, Turkey, Iraq, and dozens of others. These are more often than not countries with strict censorship laws. The legality of a VPN comes from your physical location rather than your nationality. For example, if you’re from the United States but are going to China on vacation, it’s illegal for you to use a VPN while you travel. While you may be able to get away with it in most cases, the penalty if caught can be significant. While many providers claim to offer you complete anonymity when browsing the web, the truth is, a VPN provides privacy, not anonymity. Yes, a VPN will assign you a completely new IP address from a server in a different location, but the VPN provider can still see your browsing data. In fact, no VPN server can operate without keeping logs otherwise it wouldn’t be able to address DNS requests or troubleshoot connections. However, the key difference is that the best VPN providers don’t keep logs of your actual data. This means that even if they receive a court order to hand over information about your online browsing activity, they can’t. This is especially true if they’re not part of any of the alliances mentioned above. Despite not making you completely anonymous, having a VPN is still a great tool to increase privacy while browsing the web. That being said, if you want full anonymity, you should couple using a VPN with Tor, an open network that doesn’t collect any user information. Privacy – You may want to hide your browsing data from your ISP, government agencies, hackers, and advertisers. Defeating censorship – A VPN can give you access to content that your government, work, or college blocks by connecting you to a server in a location where it’s accessible. Watching geo-restricted content – Platforms like Netflix, Hulu, and BBC iPlayer, among others, restrict their content to specific locations. By hiding your true location, you can access your favorite content from anywhere. File sharing – If you engage in P2P sharing, using a VPN can shield your IP address from others downloading the same content. Also, your ISP won’t be able to see the content you’re downloading. Using a public Wi-Fi hotspot – Hackers create twin hotspots in the hope that you’ll connect to them when in your local coffee shop or airport. A VPN encrypts your data, adding an extra layer of protection when using public Wi-Fi. With the right configuration, it should be impossible for a website to ‘see’ your IP address. Moreover, it should also be impossible to ‘see’ an IP address that your ISP assigned to you. These are the identifiers that individuals and governments will use to track you. So, once you turn on your VPN, check that it’s not leaking your information. You can do this by checking your IP address once you’ve connected to a VPN server. If it says you’re in the location you’ve chosen, you’re in luck. If not, you should contact the VPN service’s customer support team so they can troubleshoot the issue. Yes, a VPN can slow down your internet connection because your data has to travel via the VPN server. Not only this, the VPN is encrypting and decrypting your data which requires more time and energy. Truthfully, your internet speed will vary depending on the server you chose. As a rule of thumb, the further the server, the slower your internet because it will take longer for your data to get there. If you connect to a server nearby, you will barely notice a difference in internet speed. Your ISP and VPN provide you with completely different services. With this in mind, your VPN will not replace the need for an ISP. It is your ISP that allows you to connect to the internet in the first place. Your VPN simply encrypts your data while you undertake any web-based activities. A large repertoire of servers – Make sure the provider you choose has a selection of servers in your preferred country or locations. Military grade encryption – The provider you choose should have 256-bit AES encryption, a strict no logs policy, an automatic kill switch, DNS and IP leak protection, as well as a choice of security protocols to choose from. An application for all devices – Ensure that the provider you go for has an easy-to-use application for your preferred devices. High speeds – If you want to use a VPN to download or stream content, you need to make sure it offers the highest possible speeds to avoid buffering. Also, for torrenting files, make sure that the service comes with P2P sharing capabilities as well as unlimited bandwidth and no throttling. Support – Whether you’re tech-savvy or not, it’s important that you know you can rely on the support team to answer any questions or fix issues as they arise. Look for a service with 24/7 chat, phone, or email support. Before making a final decision, remember that a VPN doesn’t have to cost you a fortune. In fact, many of the best VPNs now cost less than $5 a month. Choosing the best VPN will depend on your individual needs. 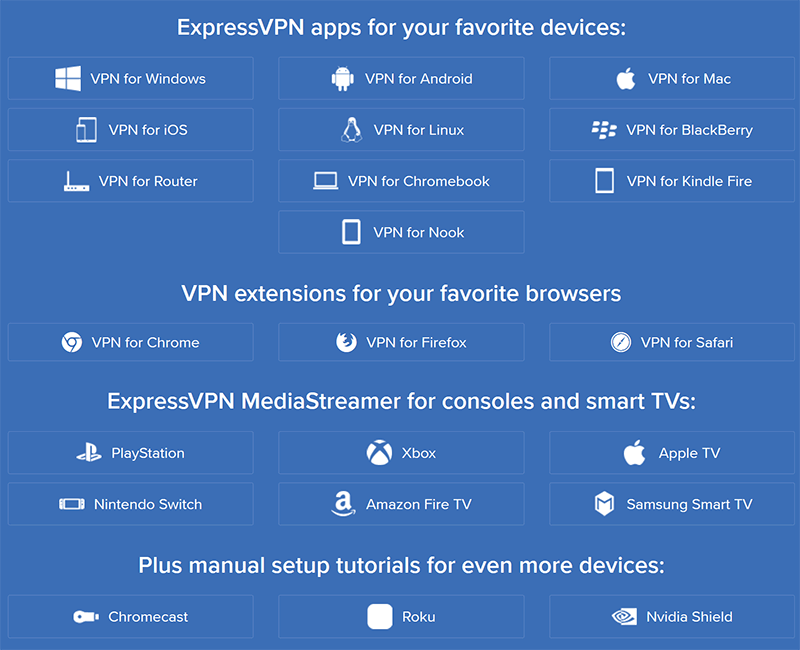 However, here is a list of top VPN providers that offer all the features listed above. These are all paid for services that come with either a free trial or a money-back guarantee period. Yes, you can use a VPN on more than one device. In fact, the majority of the VPN providers listed above have a dedicated application for all types of devices and operating systems. If you do want to use your VPN on more than one device, make sure the provider you choose offers this feature. If it does, make sure it has an application for ALL your preferred devices. From there, all you have to do is download the relevant application, choose a server in your preferred location, and click or tap connect. The devices that a VPN works on depends on the provider. Generally speaking, the majority of VPNs work on Apple, Windows, and Android devices. That being said, there are other, more advanced VPNs that also work on the likes of Linux, Kodi, smart TVs, and even routers. It’s also worth mentioning that certain free VPN services only work on specific devices. With this in mind, make sure you check with your provider before signing up or buying a subscription to avoid any disappointments. While free VPN services have their place in the market, they’re not as robust as paid for providers. After all, think about it – how can they acquire a large selection of servers, offer robust security features, and give clients all the add-ons of paid for services without an influx of money coming in? The truth is, they can’t. Often, free VPN services have their own ulterior motives or they simply don’t offer the same level of service as paid for providers. Some log your activity for their own personal reasons while others display ads or sell your data to third parties so that they can send you personalized ads instead. In short, paying for a VPN service is an investment worth making. Better yet, many of these services now cost $3 to $5 a month and come with discounts if you pay for a longer-term subscription. 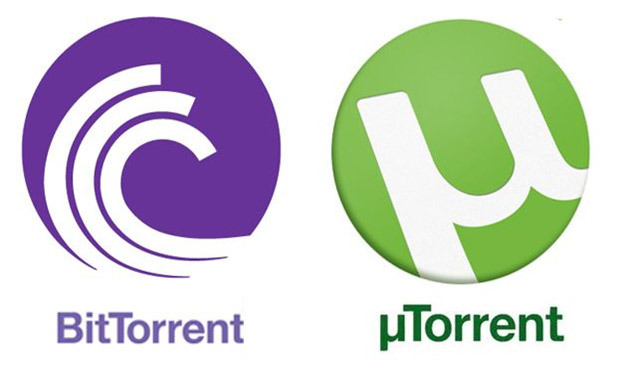 Torrenting is when you use peer-to-peer (P2P) technology to transfer files over the internet. However, despite being completely legal, torrenting has a bad rep. But, the truth is, as long as you are transferring files that you’re legally allowed to, there is nothing wrong with it. What’s illegal is piracy, the act of illegally reproducing and sharing a file that falls under strict copyright laws. The reason P2P sharing is best done with a VPN is that you never know what these files can contain or who they’re coming from. Also, if you are sharing files that you shouldn’t be, your ISP won’t be able to find out, allowing you to avoid a warning, fine, or in more severe cases, prison time. But, while the big names like ExpressVPN, NordVPN, and CyberGhost VPN allow P2P sharing, there are others that don’t. When choosing a VPN for torrenting, check that it has a no logs policy and that it offers unlimited bandwidth as well as fast download speeds. Today, there are dozens of countries that have their own set of unique censorship laws, with some being much stricter than others. When it comes to the internet, many governments block access to sites because these don’t align with their religious or political views. They also block pornographic websites and social media platforms, among others. Luckily, the majority of VPN services have servers in different locations around the world, so you can simply connect to one in a location where the site isn’t blocked and access all the content you want. Thousands of users from across the world use a VPN with the sole aim of accessing Netflix and other video streaming platforms. But, as with most things in this list, it all comes down to the provider you choose. 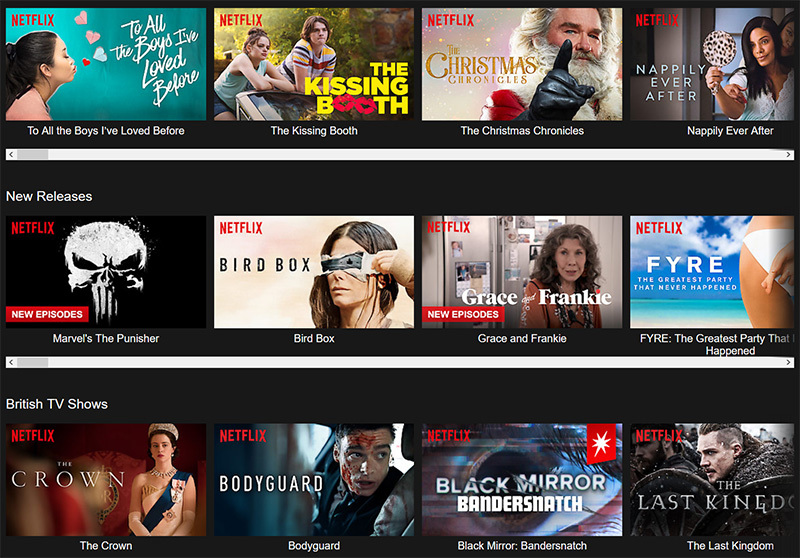 While Netflix is available in more than 100 countries across the world, one of the biggest issues is that shows and movies vary from one country to another because of complicated licensing agreements. Luckily, a VPN can help. Netflix and other platforms like Hulu and BBC iPlayer block users based on their location which they identify from your IP address. To avoid any blocks or to watch a show on Netflix that you know is only available in a certain country, you just have to connect to a server in that location. However, be warned, Netflix is getting better at blocking people using a VPN. In fact, the platform now blocks VPN servers altogether. That being said, many of the best VPN services will be able to tell you exactly which of their servers can unblock Netflix. The answer is yes. Your provider should allow you to connect to your VPN from your Android device, assuming it has a dedicated application for it. But, be wary of free Android VPN services as research suggests that many of these applications leak user information or include malware. Once again, you can use a VPN on iOS, but the same conditions apply. Before choosing a VPN, make sure the provider has a dedicated iOS application and that it is a reputable company. Kodi is another tool that requires an internet connection, therefore, a VPN naturally works with it. In fact, a VPN can help you add an additional layer of privacy to your streaming. Not only this, a VPN can help you access content that you wouldn’t normally be able to because of your location. It also allows you to safely stream from add-ons without having to worry about hackers and other third parties. As the name suggests, your smart TV needs a live internet connection to offer you the full magnitude of its amazing features. With this in mind, you can use a VPN with it. When choosing a VPN for your smart TV, make sure you go for one that has an application for your device. If not, some also come with detailed instructions on how to configure the VPN onto the device itself. While you can use a VPN with individual devices including Kodi and your smart TV, you can also configure it right onto your router, allowing you to protect any device that’s connected to your Wi-Fi network. 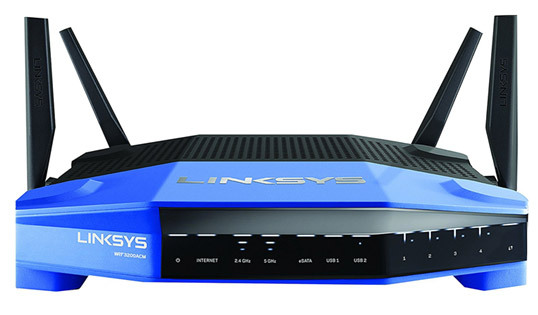 Once you install a VPN on your router, you no longer have to install one on each of your individual devices unless you plan on using them on another Wi-Fi connection away from your home or business. Before you can install your VPN on your router, you have to make sure that they’re compatible by visiting the router manufacturer’s website. Then, you must follow the steps outlined on your VPN provider’s website as these differ between services. While you will have an additional layer of privacy with this setup, it will also make your internet connection much slower so if you’re planning on downloading large files, you may have some trouble. IP leaks happen when your VPN doesn’t hide your IP address while you’re online. But, your VPN isn’t always to blame. In fact, your computer, browser, and the various applications you use can have a role to play in these leaks. Luckily, the best VPN services come with IP and DNS leak protection. Not only this, these providers offer an automatic kill switch which, as the name suggests, automatically kills your internet access if it isn’t secure. Basically, until your VPN is back in action and encrypting your data, your kill switch will stop your browser page from reloading. This will also help you avoid any leaks. A VPN is the easiest and best tool for adding an extra layer of privacy, anonymity, and security to your online activities. When shouldn’t I use a VPN? All in all, there is no reason why you shouldn’t use a VPN at all times. In fact, using one will keep you safe from governments, your ISP, advertisers and even hackers. Additionally, coupling a VPN with the right antivirus software and steering clear of shady downloads will allow you to keep yourself and your devices safe from prying eyes.